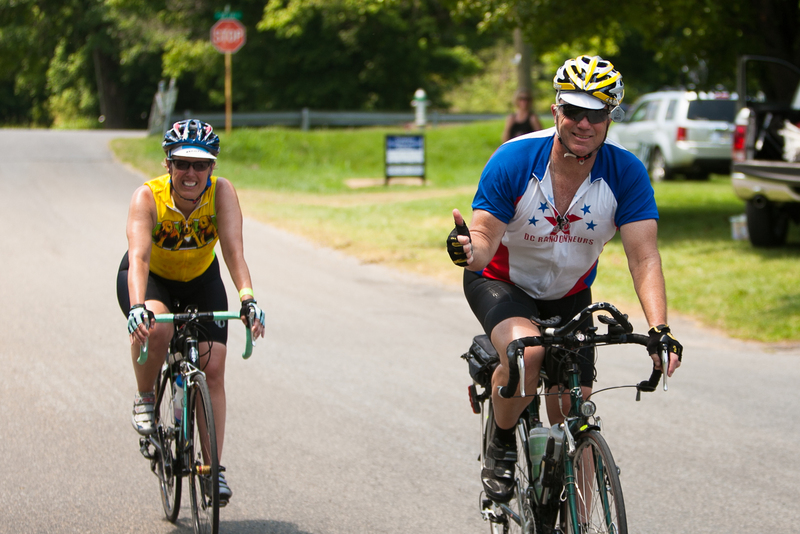 Welcome to this year’s Bike Virginia Routes! We are so excited to share with you the wondrous beauty of the area, it is really a spectacular part of the state. In fact, some of the routes we will be riding along are the same as the Bike Route 76 Transamerica Route that stretches from Oregon to Virginia! One of the things that makes the Bike Virginia Tour so fun is that you get to ride in different areas of our wonderful state. Virginia offers a wide variety of terrain from the coast to the mountains and this year we will be traveling through some of the mountainous areas in the New River Valley. While the area is very beautiful it can also be a challenging place to ride if you are not ready for the hills. While the majority of the routes are in the valleys there are still hills. Please be prepared to do a fair amount of climbing and remember that what goes up must also come down, so… no matter how difficult the climb you will be rewarded with a downhill, and in most cases a majestic view of the surrounding area! With the exception of the Green Circulator route, all of your routes are signed each morning. The Green circulator route is a short route that sticks close to HQ and we leave those signs up until we move locations, this way if you want to just cruise around for a mile or two you can do that without getting on the daily routes. 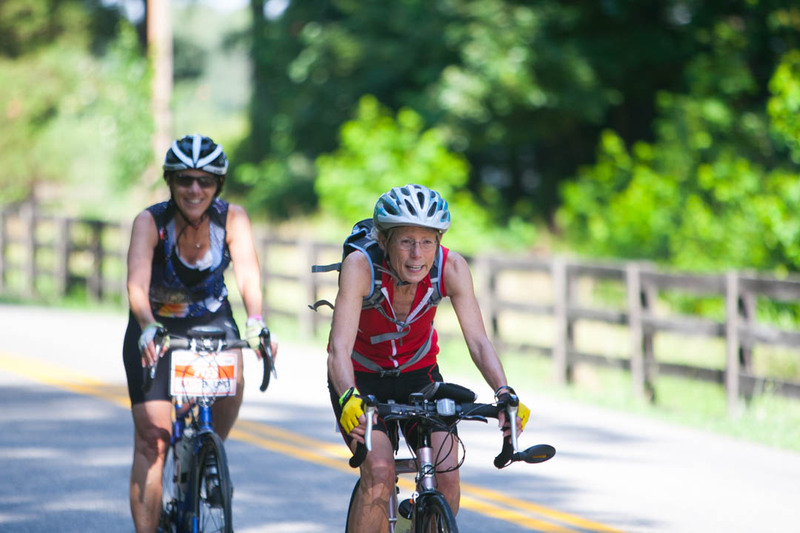 Bike Virginia’s Tour events accommodate both recreational and advanced riders. The difficulty rating will be determined closer to the event as routes are finalized. We anticipate a difficulty rating of 6 to 9 on a scale of 1-10 for the 2018 routes. Difficulty will vary daily based on which route option you choose. Routes are finalized at the Preview Ride in late April. We will assign a difficulty rating to each day of the tour. Route difficulty is rated on a 1-10 scale and is determined by elevation gain (climbing), distance of route, and experience. We will be publishing individual route difficulty for each day in May 2018. Those ratings will be printed in the tour guide that you will receive at registration check-in. Any bike is ok for the tour as long as you are comfortable riding it. Most riders choose a “road bike” but we have a lot of folks riding hybrid or mountain bikes (with road tires) and even recumbent’s. The main thing is that you are comfortable and the bike is ready to roll. Below are a few suggestions for this year’s tour with regards to tire selection, gearing and brakes. 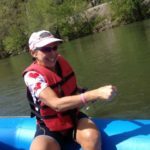 In June 2018 our annual Bike Tour will feature bike routes in the New River Valley of Virginia. Our headquarters will be located at Bissett Park in Radford (June 22,23,24) and Claytor Lake State Park in Dublin, Virginia (June 25,26,27). If you’re looking for a fun, fully-supported bike tour—a true adventure by bicycle—mark your calendar now for June 22–27, 2018. We’ll host you for 6 DAYS of exploration, relaxation, and camaraderie. Our riders loved the 6 day format. We kick off the next annual event on Friday, June 22, 2018 in Radford, Virginia . We wrap up on Wednesday, June 27, 2018 in Claytor Lake State Park in Dublin, Virginia. We offer 6 DAYS of unique bike routes with only two camp locations. You’ll have more time to relax and enjoy leisurely evenings and mornings without having to pack up your camp. Some bike tours like Ride the Rockies, Cycle Oregon, Bike Florida, and GOBA move up to 5 times in a week. Our riders said they enjoyed more time at each camp and wanted to have their car with them; we listened and have built our event around this concept. Two host town locations and 6 DAYS of route choices gives lots of great riding without the hassle of everyday moves. Returning for 2018, our Double Vision format gives you more riding options and NO ONE-WAY routes! Be sure to read about all the exciting changes that come with the Double Vision format. Friday will be a wonderful ride out of our HQ location starting at Bisset Park in Radford, VA. Once you get to the tour on Friday (Camping and Registration starts on Friday) and pick up your registration you will enjoy a 25 mile ride as we meander through the some of the New River Valley. This ride will offer a taste of the riding you can expect for the remainder of the tour. Get ready for Saturday! Saturday will be a great way to get out and see the New River Valley and all its splendor. There are 4 route options to choose from all of which will leave you smiling. RED Route Shortcut: You will follow the Pink Route to start out of HQ as you flow along with all the riders to the 1st rest stop. Upon exiting the rest stop you will want to catch the Red Route Begins Sign and begin riding back towards HQ. BLUE Route Shortcut: This is a great ride if you are looking for just a bit more miles than the Red Route but just don’t feel like making the trek all the way out to Floyd VA. Look for the Blue Route Begins sign. PINK Route (Main Route): Those wishing to keep rolling will stay on the Pink Route for the entire day. Staying on the Pink route will lead you out to the cool town of Floyd VA. Floyd is a great little town well known for its Bluegrass Music Scene and will be the location of our 2nd rest stop. From here you will have a choice to stay on the route or to roll onto the Orange extension. Either route offers plenty of challenges and lots of wonderful views! The last portion of all the routes follows a meandering bike path through the woods and back to HQ. ORANGE Route Extension: The Orange Route is a great way to see more of the mountains that make up the eastern side of the valley. From the 2nd rest stop follow the Orange Route Begins sign. This route will take you up into the mountains crossing the Blue Ridge Parkway above Floyd and return you back to the 2nd rest stop in Floyd where you will grab the Pink Route back to HQ. Sunday is well…like a great Sunday ride. 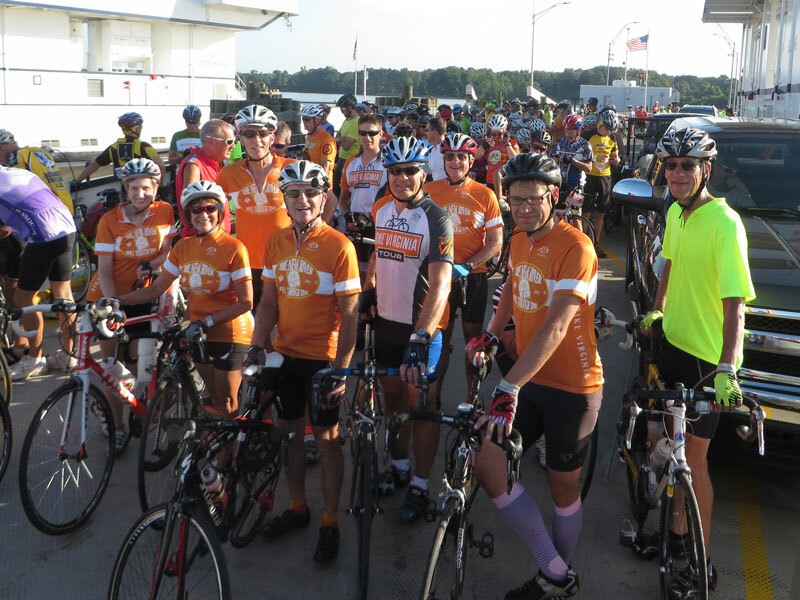 You will enjoy the beginning of the ride out of camp as you pedal along the New River and make your way towards Blacksburg VA, home of the Virginia Tech Hokies. There will be four options on Sunday. RED Route Shortcut: Starting on the Pink from HQ your route option will begin around mile 12, look for the Red Route Option Begins Sign. From there you will make your way towards our rest stop in Christiansburg, VA. Once leaving the rest stop you will head back to HQ as you complete your 26.2-mile ride. PINK Route (Main): Riding the Pink Route will take you along the a beautiful bike path called the Huckelberry trail where you will pedal in and around Blacksburg and the Virginia Tech Campus eventually making your way back to HQ with your last rest stop in Christiansburg. ORANGE Route Extension: For those looking to extend the fun and really get into the backcountry of the area you will follow the Pink Route to the 2nd rest stop where you will pick up the Orange Route Begins sign. You will then ride on quiet roads as you explore the Catawba Mountain area. You will cross the Appalachian Trail at the McAfee Knob trailhead. Riding your way back to civilization you will merge back with the Pink Route as you make your way back to the final rest stop and HQ. BLUE Route Extension: This little extension adds a few miles to the Orange Route and may be one of the most scenic of the entire ride as you ride along the valley looking up at McAfee’s Knob. To access this route follow the Orange Route signs until you see the Blue Route Begins sign at the Catawba Community Center Rest Stop. Once completing the Blue extension simply jump back on the Orange route and work your way back to HQ making this ride the longest of the 6 days at 108 miles. 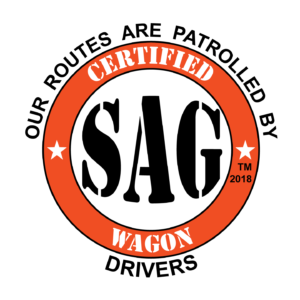 Monday – This is move day! Once you’ve moved your gear and vehicle to Claytor Lake State Park get ready for some more great riding as you head out on one of the three options for today. RED Route Shortcut: As will all routes you will begin your journey on the Pink Route and follow that all the way to the 1st rest stop at the train depot in Pulaski, VA. Upon exiting the rest stop make sure to follow the Red Route Begins sign for a relaxing trip back to HQ. PINK Route (Main): Those looking for a bit longer ride will stay on the Pink Route and meander through the town of Pulaski (make sure to look for the VW Vans, a lot of them around the 15 mile mark). You’ll then ride your way to the 2nd rest stop in Dublin, VA. From there you will have the option to extend your ride on the Orange route or head back to HQ. ORANGE Route Extension: If you’re looking to maximize your ride make sure to take the Orange Route Extension. Look for the Orange Route Begins sign upon exiting the 2nd rest stop. This route will take you into the beautiful countryside of the area and provide a great meander along the New River as you head back to HQ. With only two days left of the tour you’ll want to make sure to get the most out of the routes for Tuesday. As you roll out of camp you will begin your journey on the Pink Route and quickly find your way back down to the New River. With three options today you will surely find some riding that will leave you saying pedal-smile-repeat! Additionally, you will find maps of the New River Trail in your welcome packet. All the routes will cross the New River Trail several times, however, only the Red Route is signed onto the trail. If you’d like to make your own route please use the map as guidance and keep in mind that if you get on the trail you may not have a rest stop until the Draper Mercantile trailhead and remember that the New River Trail is a hardpacked gravel surface that can be ridden by most bicycles. RED Route Shortcut: Riding the Red Route for today is going to be awesome! You’ll roll with the Pink Route Riders all the way to the 1st rest stop at the Hiawassee Volunteer Fire Department; some may remember this stop from our 2011 tour. Upon exiting the rest stop follow the Red Route Option Begins sign, use caution on the downhill as you will turn onto the New River Trail near the bottom of the hill. Once on the trail you will enjoy a great ride back to the Draper Mercantile rest stop, this is where you’ll catch back up with the Pink Route and follow it back to HQ. PINK Route (Main) – What a wonderful way to see the valley and the New River. Upon leaving the 1st rest stop you will meander along the New River for a while and if you look closely across the water you will see your next rest stop as you make your way around to the other side of the river and roll your way back to camp. Speaking of camp, make sure to enjoy the final 2-mile downhill ride back to Claytor Lake and HQ. ORANGE Route Extension – This ride will be awesome and will take you to see the Shot Tower (your 2nd rest stop). A historic tower built more than 200 years ago to make ammunition for the firearms of the early settlers! From here you will continue onto Austinville, birthplace of Stephen F. Austin and the location of the lead mine used to make the ammunition at the shot tower. Your journey will then lead you to a little town called Max Meadows; this will be your 3rd rest stop for the day and is also where the Transamerica Bike Route 76 traverses. Your route will then lead you to a relaxing rest stop along the River where you will join back up with the Pink Route and roll your way back to HQ. Well the tour has to end someday; luckily for you it is a great day for riding! You will have your choice of four route options to get you rolling on the last day of Bike VA.
RED Route Shortcut: The Red option is a mellow 11 miles that will take you out and back to the Ruritan National HQ rest stop. This is a great route if you’re anxious to get on the road and just want a little ride to cap off a great week of riding. BLUE Route Shortcut: This is a great option if you’re looking to get back a little sooner than riding the full Pink Route. You’ll grab this as you leave the 1st rest stop, look for the Blue Route Option Begins sign. PINK Route (Main): The Pink Route will take you a bit further into the valley where you will come to the 1st rest stop at the Little River Bluegrass Barn (very cool rest stop). From here you can choose to grab the Orange Route Extension, Blue Shortcut or stay on the Pink Route and continue on to the 2nd rest stop at Harry De Haven Park. Getting to the Park is a bit challenging but it’s worth every mile as this stop puts you on the other side of the lake from HQ…pretty neat to think about riding all the way around Claytor Lake! From there you’ll ride your way back to the 3rd rest stop at the Ruritan National HQ and then enjoy the gentle ride back to HQ. ORANGE Route Extension: This will be a great route to get in a few extra miles before making the trip back. The extension is a lollipop of sorts that starts and finishes at the 1st rest stop and is a great way to explore more of the valley. Look for the Orange Route Begins sign. 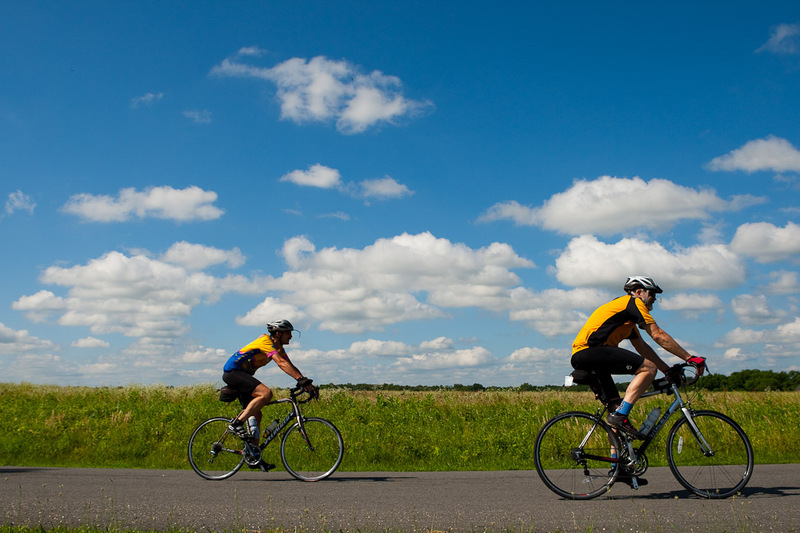 Planning for Bike Virginia’s event includes assessing many factors that affect your riding experience. Several things come together such as our rest stops, permits and various other elements that go into planning roughly 400 miles of riding. We get great local support and advice that help us create a truly memorable riding experience. Location planning takes place over 14 months in advance of the event. During that time we narrow in on the best route options. As spring approaches we work with a large team of volunteers and staff to assess final riding options. Draft routes are published in early 2018 and final routes are published in the month before the event, due to changing road conditions and service agreements with rest stop locations. Planning for Bike Virginia’s event includes assessing many factors that affect your riding experience. Several things come together such as our rest stops, permits and various other elements that go into planning roughly 400 miles of riding. We get great local support and advice that help us create a truly memorable riding experience. Location planning take place over 14 months in advance of the event. During that time we narrow in on the best route options. As spring approaches we work with a large team of volunteers and staff to assess final riding options. Draft routes are published in early 2018 and final routes are published in the month before the event. Routes cannot be finalized earlier due to changing road conditions and service agreements with rest stop locations which can impact riding. We promise to provide route details as soon as possible. DAY ONE Welcome to Bike Virginia! Friday is registration day and offers you a chance to kick off your vacation right. Once you’ve checked in you can enjoy our Welcome Ride. As you pedal out you will embark on a journey that was 31 years in the making. Friday’s ride will depart from our headquarters in Bissett Park in Radford and take you along pleasant roads that introduce you to the region’s charm. The distance of Friday’s ride will be just enough to get the blood flowing but not so much to wear you out. 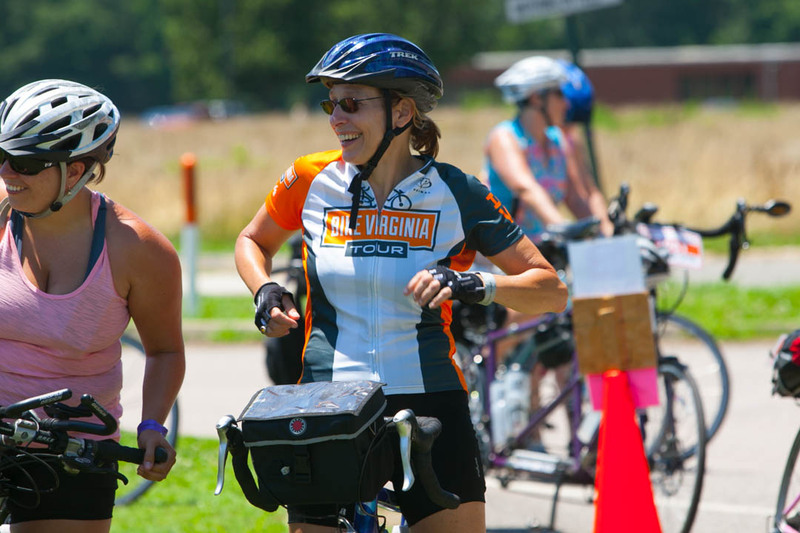 When you get back to camp you can enjoy the camaraderie of friends and fellow cyclists, settle in to grab a bite from one of our food trucks, and listen to the live music as you rest up for what will be one of the best Bike Virginias in 31 Years! DAY TWO Grab some coffee at headquarters and make your preparations for an epic ride. Hop on the bike between 7am and 9am and truly let the journey begin with one of our famous loop ride options. Our team will treat you to rider’s choice of 3 options that day ranging from a short 20 mile distance ride to a metric century or more that carries you out for some spectacular sights. Any route you choose will be a treat and one that only the wonderful roads of Virginia can provide. After a perfect day of riding, pamper yourself with yoga, massage, or meditation followed by good food, drink, and fun music. 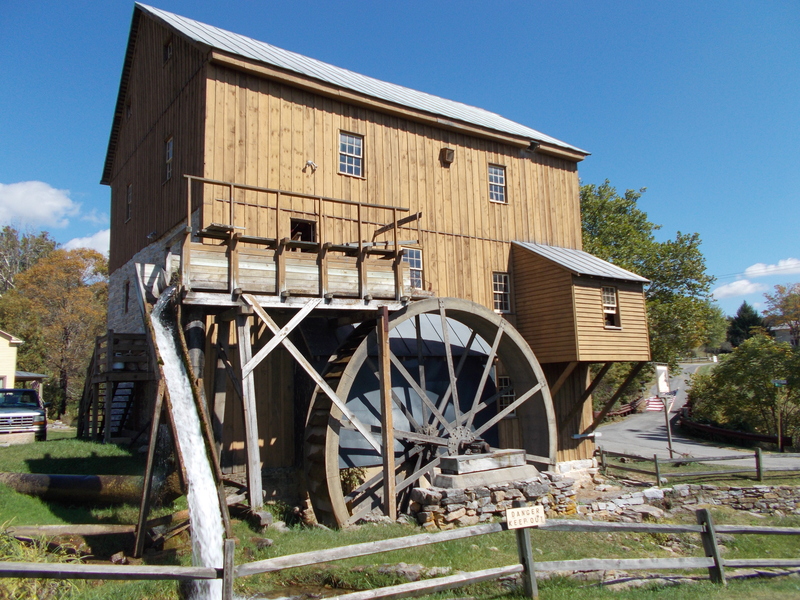 DAY THREE will take you farther into the beautiful Blue Ridge valleys and mountains. The shorter route for the day will have 20 or so miles of riding, the mid-length route will have a nice 40-60 mile distance for your pleasure. 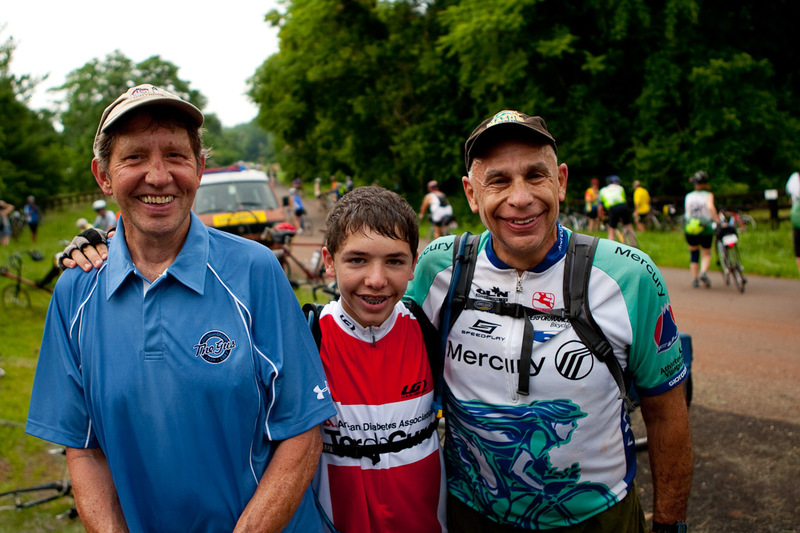 For the longest route distance riders, Sunday will offer the first of our two century routes. Any route you choose will have you smiling the whole way and wanting to stay on the bike for just one more mile. Weekend participants will wrap up their ride this day; they can camp over that night, or head on home with fun memories to carry them through the work days ahead. Sunday marks mid-point for our six-day participants; they will crawl into bed that night with dreams of the great riding left to come. DAY FOUR will be event move day. On move day, the entire event packs up early in the morning and relocates to headquarters 2, located in Claytor Lake State Park, (about 9 miles south on I-81). From there you will kick off the second half of the event and enjoy riding from another beautiful region of the New River Valley. Routes will include 15 to 60 mile options. For those who rode on our 2011 Roll Through Time tour you will rekindle some of the fond memories. There will be several length options to choose from on Monday so you can ride as much or as little as you want, depending on what you wish to see or how you are feeling from the previous three days of riding. One of the beauties of Bike Virginia’s format is that you can take a rest day any day you wish. Monday night offers a great chance to head into to enjoy the historic downtown of Pulaski or a local winery. DAY FIVE, get ready! We will have several distance options to choose from that will take you on a beautiful ride along the New River. Pick a route between 15 and 100 miles with elevation changes ranging from 1,200-7,500 feet. Rest stops will be perfectly spaced for your food and drink needs approximately every 20 miles. Whether you choose the short, medium, or century route you will undoubtedly have a smile when you get back to camp. DAY SIX it is! This day is the last day of the tour will be one to remember! We will have 3 options that day so you can choose if you want to get a short ride in before hitting the road home or settle in for another long day in the saddle as you pedal the metric century. Choose from 25 to 60 miles. Because we finish at this second location you can wait to pack up camp until after you ride, your car will be conveniently there for your departure. That’s another uniquely Bike Virginia trait. 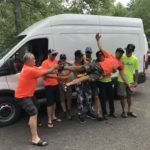 Day six brings a close to the 31st annual Bike Virginia Tour, a time for hugs, smiles, and dreams of the 2019 Bike Virginia Tour. Each button below corresponds to a route option available on the day. Click the button to view the route map and elevation profile. You may also export a GPS-compatible file. Please note that all routes are subject to change and approval by local and state authorities. Route maps are hosted offsite by a 3rd party not affiliated with Bike Virginia.